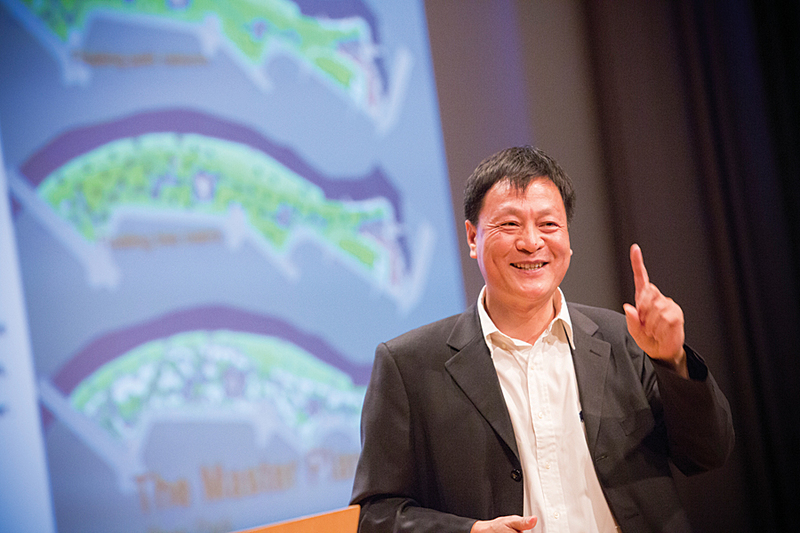 Kongjian Yu, the keynote speaker at the 2014 Geodesign Summit, urged his audience to work with nature using geodesign techniques. 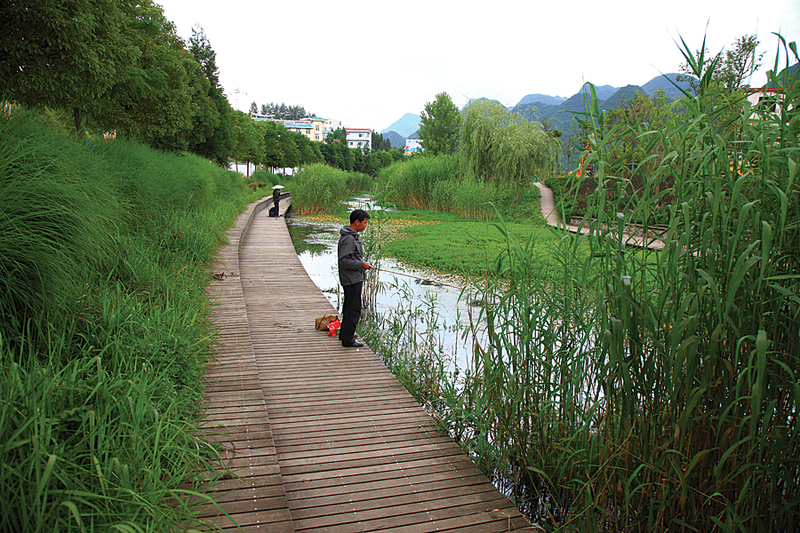 His firm has used geodesign to transform neglected and polluted areas into wetland parks. Kongjian Yu, the keynote speaker at the 2014 Geodesign Summit, January 29–30, 2014, in Redlands, California, is the son of a Chinese farmer. He grew up on a commune working in the fields with his father until he left for college at age 17. Today Yu, 50, is a well-respected, award-winning urban designer and landscape architect. His firm, Turenscape, turns neglected land and polluted waterways into wetland parks filled with flowers and teeming with fish and birds. Yu showed photographs of these lush parks during his address. He urged adoption of a fresh way of thinking about landscape architecture and design. 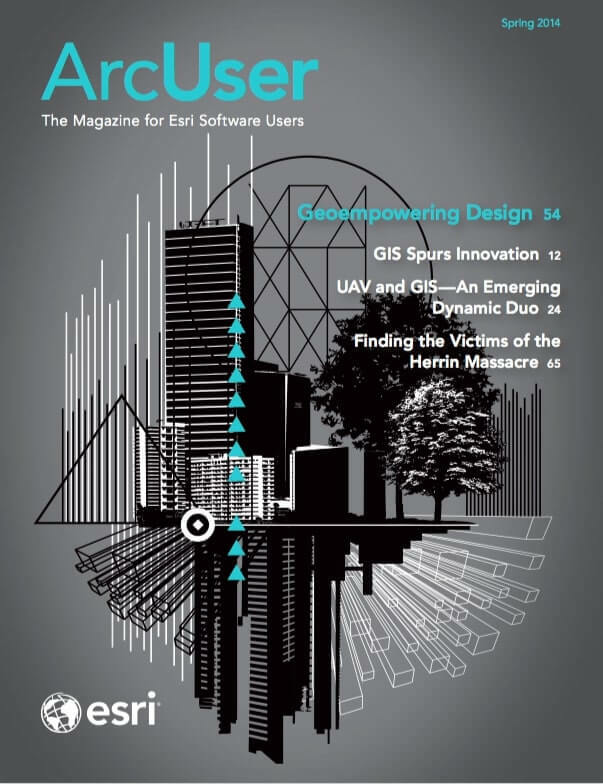 He advocated using geodesign, which incorporates design, geography, and geospatial technologies such as GIS, to help create an ecological infrastructure for communities. An ecological infrastructure reflects the natural environment rather than something built out of concrete and steel. Many of Turenscape’s park projects in China let nature take its course. Rather than diverting storm water from a river during the rainy season with pipes or channels, it’s captured and filtered in ponds in a terraced wetland system. Areas that flooded historically are allowed to flood again. Nature takes hold and reeds and flowers spring to life. Birds flock to these wetlands again and so do the bird watchers, Yu said. Yu and a roster of other speakers gave presentations to nearly 300 people from diverse fields such as architecture, urban design, ecology, health, banking, biology, mining, and marine science. Nearly half were new to the event, now in its fifth year. Geodesign Summit organizers believe this reflects a deepening interest in geodesign. GIS provides a platform for the integration of science, providing the practical means for geoempowering design. Esri staff gave a short demo of the geodesign tools in Esri CityEngine, which creates 3D models of buildings and entire urban landscapes using procedural rules. Eric Wittner, Esri 3D technology evangelist, and the 3D team also previewed the 64-bit ArcGIS Pro, a powerful 2D and 3D visualization, editing, and analysis application that will be part of ArcGIS for Desktop. The first release of ArcGIS Pro is slated for later this year and will mainly offer 2D and 3D visualization, support for analysis, and simple feature editing. Subsequent releases will offer additional capabilities. Though technology was front and center at the conference, the idea of designing with nature in mind was omnipresent. Renowned biologist and natural sciences writer Janine Benyus took the stage to talk about biomimicry, the science that studies how nature can provide inspiration for innovation. 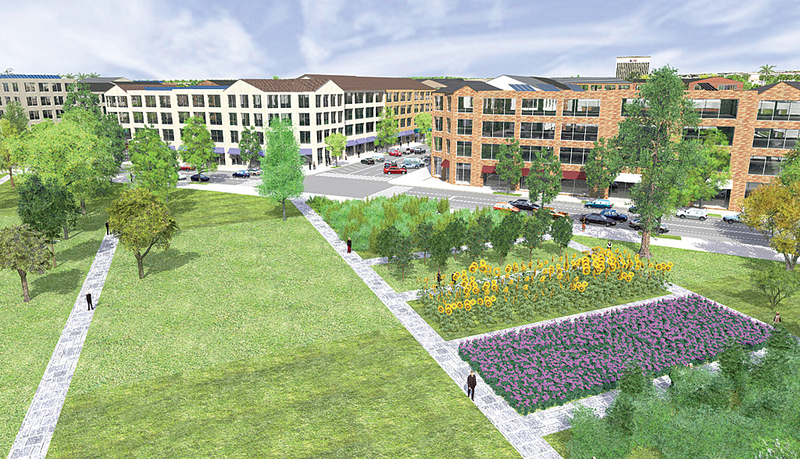 It can provide a model for landscape and urban design. An angler fishes in the Shuicheng River in Liupanshui City, China. As a result of a restoration project by Yu's firm, the once-polluted river was cleaned up and the waterway and the Minhu Wetland Park were restored. Photo courtesy of Kongjian Yu/Turenscape. “I live in the Bitterroot Valley in western Montana,” she said, showing pictures of the bucolic rural countryside. “It’s so healthy . 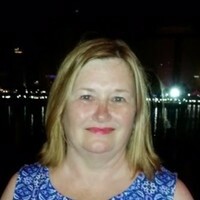 . . when I walk back there, I see what we could be,” she said. In a follow-up conversation with Dangermond and Fisher, Benyus said that metrics need to be collected to create ecological performance standards for designing sustainable cities. She envisions the creation of a biological information repository that inventors, designers, and others involved in biomimicry could access to obtain information about their areas of interest. Benyus said she looked forward to learning more about GIS and the role it could play in developing and hosting such a repository. Keynote speaker Yu learned to use GIS two decades ago. Today his staff at Turenscape uses ArcGIS for topographic modeling and analysis. Before he founded Turenscape in 1997 and became professor and dean of the College of Architecture and Landscape Architecture at Peking University, Yu attended Harvard University, where he earned a doctor of design degree at the Harvard Graduate School of Design. He also interned at Esri, where he worked in the prototype lab. He said he and Dangermond are sympatico when it comes to believing that geodesign will change the world for the better and our survival depends upon it. For example, geodesign was used for the Shuicheng River and Minhu Wetland Park project his company worked on in Liupanshui City, China. There, storm water is no longer diverted away from the river. Water no longer goes to waste. A once-polluted waterway is fishable again. People stroll along walkways that wind around terraced ponds. Beautiful orange flowers blossom around the wetland’s perimeter.